FEATURE — Washington County boasts many of the iconic mountain bike trails and back-country vistas in the state, but hardly any can compare to the world class experience riders will find on the Gooseberry Mesa National Recreational Trail. Often referred to as “the one everyone wants to know about,” Gooseberry Trail rises to an elevation of 5,200 feet with fabulous views of Zion National Park to the north and surrounded by myriad slot canyons and red desert sands. 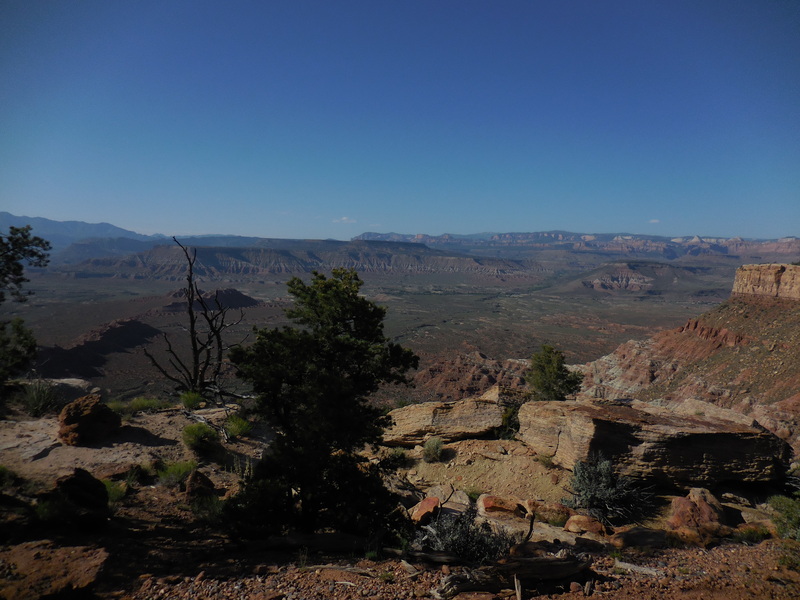 Although it is one of the most popular local trails, it is about an hour from St. George and off the beaten path enough to ensure everyone has a great experience. Even on a busy day, the trail meanders enough that riders do not usually see people out there along the way. “People will come from around the world to see and to ride that trail,” Bartlett said. The singletrack loop was developed in the late 1990s and is maintained by the Bureau of Land Management. In 2006 it was granted National Recreation Trail status. 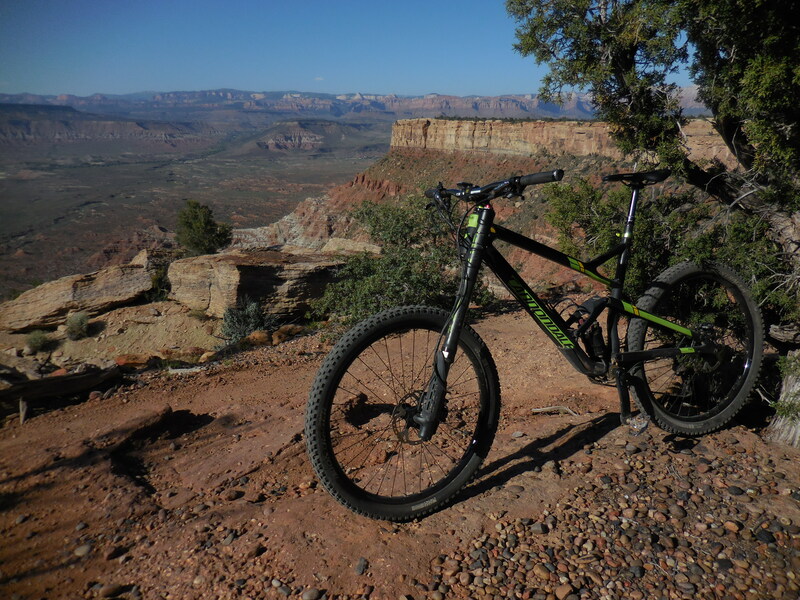 Gooseberry was designed with technical mountain bike riding in mind and consists of a series of interconnecting trails that weave around the mesa at several levels of difficulty. The entire area is a technical rider’s dream and should take approximately three hours to complete. The challenging terrain is not meant for equestrians or anyone looking for a thrilling, fast ride. Bartlett said Hidden Canyon Trail was his favorite part of the loop of trails. There is a short practice loop available near the start for unsure riders to test their abilities and get a small sample of what to expect. On the trail there are a number of sudden turns and steep drop-offs, and riders will definitely need to be careful not to make any mistakes. However, by the time they make it back to the parking lot, the sense of accomplishment will be a welcome reward. The farthest distance the trail goes out to is a peninsula at the edge of a cliff called “The Point,” where visitors claim you cannot find a bad view. “It’s really a spectacular spot,” Bartlett said. Coming from the north: From Interstate 15, take Exit 27 for Toquerville and follow the signs to Zion National Park via state Route 9, which will take you through Rockville first. In Rockville, turn south (right) on Bridge Road. Continue straight until the road turns right (west) and turns to gravel.Keep left at the fork at 1.5 miles. At 6.2 miles, watch for a road going through the fence on your right at the top of the mesa. Approximately 3.6 miles after this turnoff, fork left at the outhouse. Ignore any smaller branching roads and continue 1.1 miles later, where you’ll cross a cattle guard. Park there. The trail begins along the fence on the left side. Coming from the south: From Interstate 15, take Exit 16 to Hurricane. Follow State Street/state Route 9 into Hurricane and turn right at the Highway 59 sign. One block later, turn left and continue on SR-59 out of town. Watch for a “Scenic Byway” sign 14.8 miles from the turnoff in Hurricane, and turn hard left onto a dirt road. Two miles later, just as you reach juniper trees, the Gooseberry Mesa road turns off on your left. Continue to the trailhead as above. 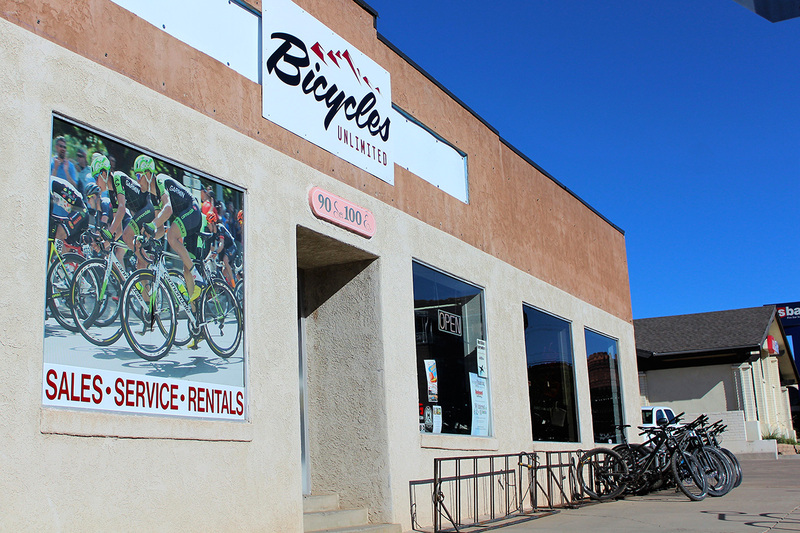 Bicycles Unlimited has been Southern Utah’s bicycle leader since 1984, offering both service, sales and rentals. Bicycles Unlimited offers a complete line of road, triathlon, mountain, BMX, cruiser and many more types of bikes. They feature Cannondale, Cervelo and Trek Brands but also carry many other BMX and Cruiser brands. Their rates and attention to detail are unmatched. Written by ANDREW PINCKNEY, St. George News.